Are you planning a cruise to Antarctica and think all you’ll do is sit back on your deck-chair, hot cuppa in hand, and admire the scenery? Think again! Antarctica is not only one of the most mesmerising travel destinations on the planet, it is also one of the most interactive. The 10 Best Things to See and Do in Antarctica will have you on the ice, in the water, and right in the heart of the magnificent action. A cruise to Antarctica is, first and foremost, a chance to meet and greet some of the most iconic creatures on earth. It’s hard to believe that such a harsh place can host such an impressive array of wildlife. 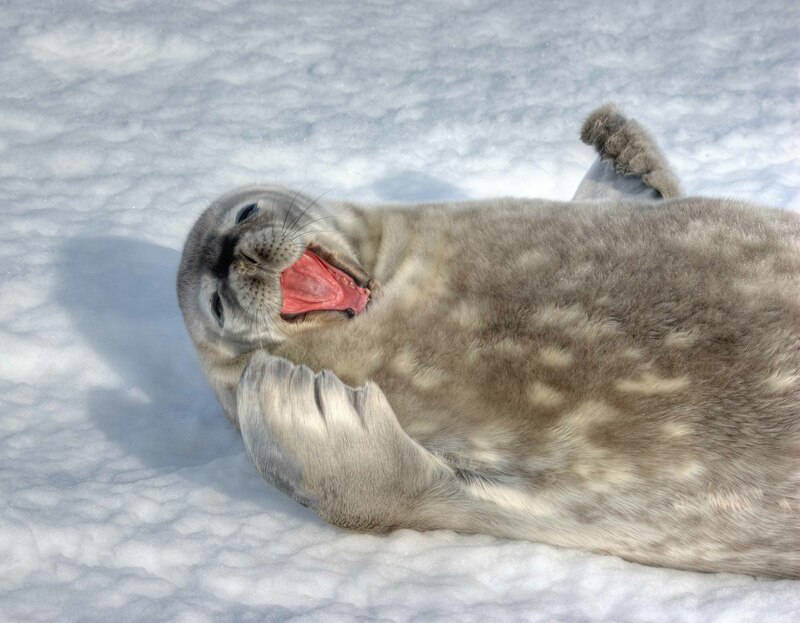 From the majestic Emperor Penguin to the Southern Elephant Seal, the Killer Whale, Humpback Whale, as well as untold species of penguins and seals, Antarctica offers you the unrivalled chance of up close and personal wildlife encounters with some of the most unique animals on our planet, all the while being totally immersed in spectacular landscapes. Penguins have no land predators in Antarctica and view humans with curiosity rather than caution. 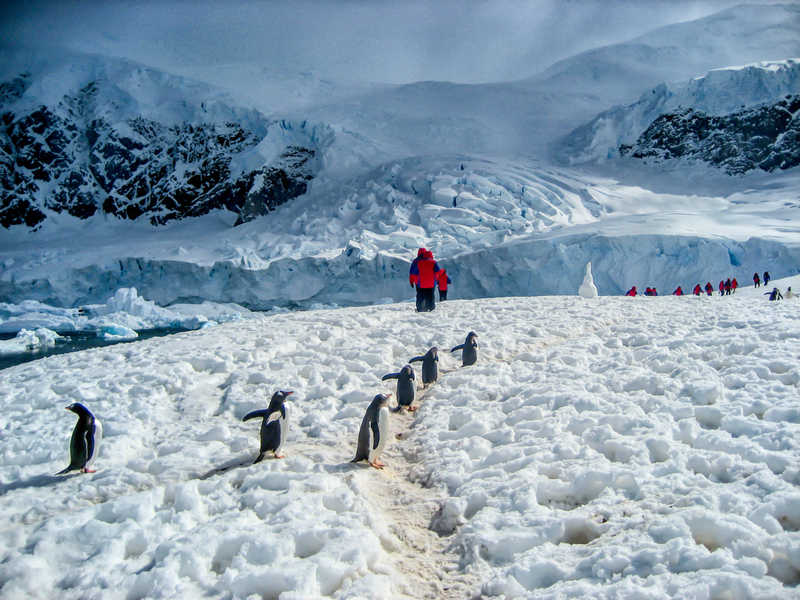 Walking among the colossal colonies here, some with up to 500,000 penguins, rates among the most unforgettable Antarctica activities of all. There is simply no other place on earth which offers this kind of close encounter with the clowns of the polar wildlife world. Penguins are rather animated creatures and as you meander your way through their ‘hoods’, you’ll see them waddle along well-worn tracks in the ice – known as penguin highways – fight and argue over everything (including lunch), dive into the ocean and cater to the needs of their fluffy offspring. Penguin encounters are just about guaranteed on every Antarctica cruise, no matter where your itinerary takes you. The only variable is the type of penguins you’ll come across. You may think it takes a certain kind of brave soul to hop on a kayak in such freezing waters, but if you manage to overcome the mental barrier of gliding among glistening floes you’ll likely never want to jump back on your expedition ship. 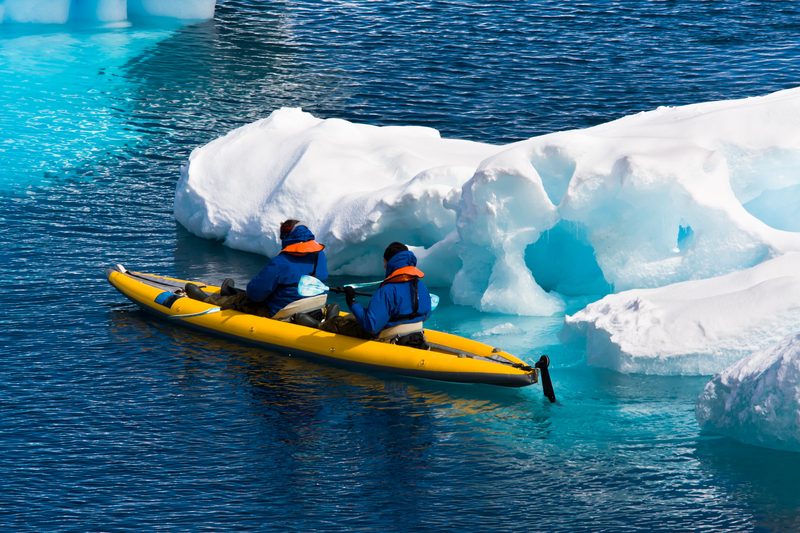 Kayaking in Antarctica is an incredible way to explore closer to shore, to discover hidden iceberg coves your ship can’t reach, and to get a close-up view of the exceptional marine wildlife for which the White Continent is so renowned. Sunbathing seals won’t even blink twice as you paddle past them, and you’ll enjoy animal encounters from a totally unique perspective. 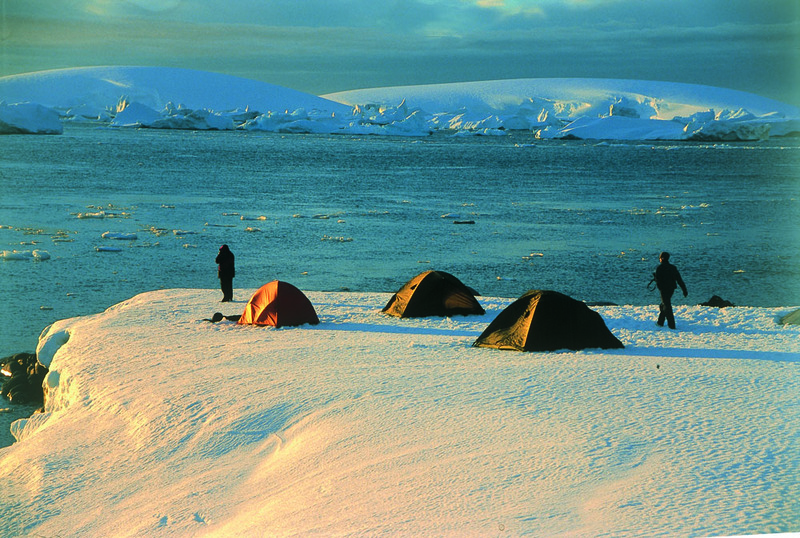 Aside from kayaking, there are actually quite a few active pursuits you can indulge in, during your Antarctica cruise. From SCUBA diving to Stand Up Paddle boarding, mountain climbing, snow-shoeing expeditions, overnight camping and even thrilling skiing expeditions, the list of adventure activities on offer is surprisingly varied. So don’t just sit back and admire this incredible world of ice and snow, dive right into it! The benefit of choosing a smaller expedition ship to Antarctica is that they offer what many of the very large liners don’t, and that’s Zodiac cruising. These incredibly sturdy inflated rafts are sure to become your favourite on-board toy, as they’ll take you to shore for on-land explorations, and get you to remote corners of the Antarctic Peninsula which large ships simply can’t reach. Most of all, they give you the chance to immerse yourself in the icy nooks of Antarctic seas where the real wildlife action unfolds. Amongst icebergs is where you’ll have the best chance for close encounters with whales, and where you’ll see a flurry of activity as penguins and seals jump on ice floes. 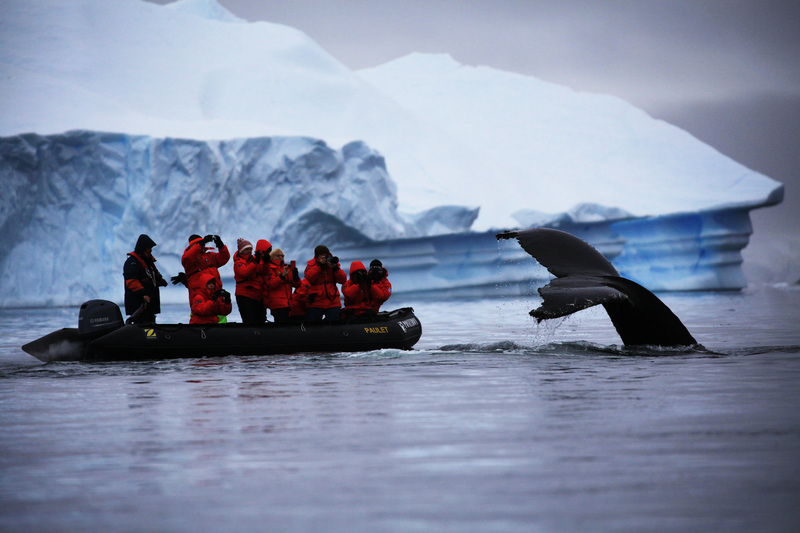 Cruising on Zodiacs gets you closer to everything and if you’re an avid photographer (everyone is in Antarctica!) you will likely shoot your best pics on your Zodiac outings. 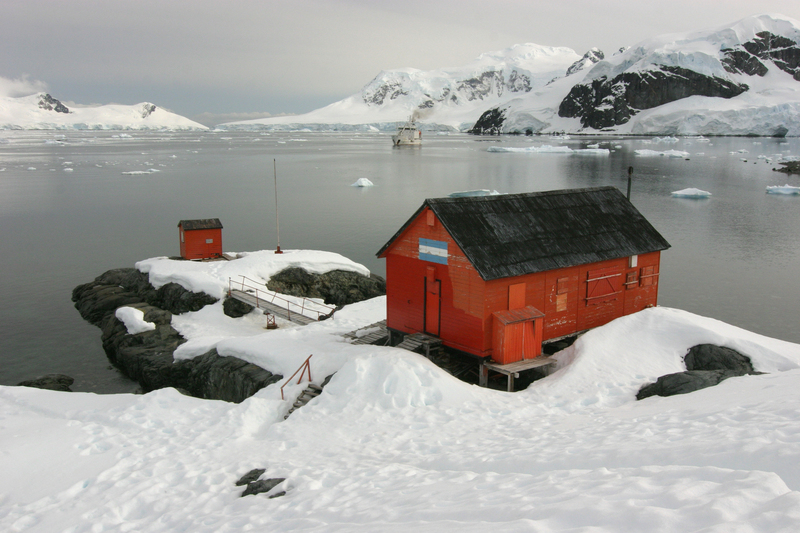 Antarctica hosts several international research stations, whose work ranges from meteorological studies to environmental research and even medical experiments. 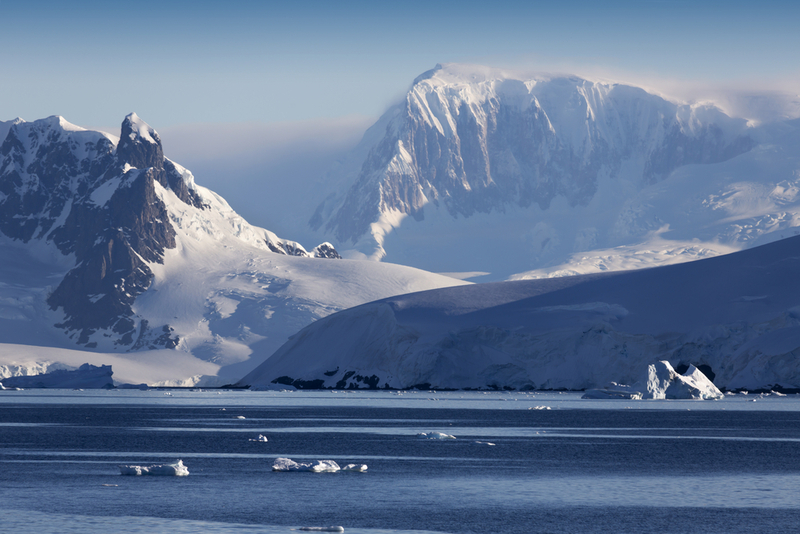 Irrespective of departure point, most Antarctica cruise expeditions offer the opportunity to visit a research base, where you can get a behind-the-scenes look at the incredible work which is carried out at this most inhospitable part of the world. Station staff are often very keen to share their research with visitors, and list the logistical intricacies of their day-to-day life. Visiting a research station in Antarctica is immensely fascinating and an activity no cruise ship passenger should ever miss. During the Heroic Age of Antarctic Exploration, this harsh and unforgiving land was a hotly-contested frontier; a place where men triumphed and perished in search of honour and to unravel what was, and in many ways still is, the great white unknown. From whaling stations to the base camps of some of the most celebrated explorers in the history of man, Antarctica boasts an array of interesting historical sites you can visit. Retrace the steps of Shackleton, Mawson, and other illustrious pioneers, and come face to face with a chapter of world history that continues to inspire research and explorations in this most enigmatic continent. One of the most inspiring historical excursions is to the Memorial Cross erected in honour of Captain Scott and his party, atop Observation Hill. To reach it, you’ll need to tackle a hardy hike from McMurdo, which will reward you with breathtaking views of the Ross Sea Ice Shelf and Mt Erebus, the second-highest volcanic peak in Antarctica. Nothing inspires courage like a visit to a historical site in Antarctica, and that’s definitely a great thing. Because courage is exactly what you’ll need to take an unforgettable polar plunge. What on earth is a polar plunge, you ask? 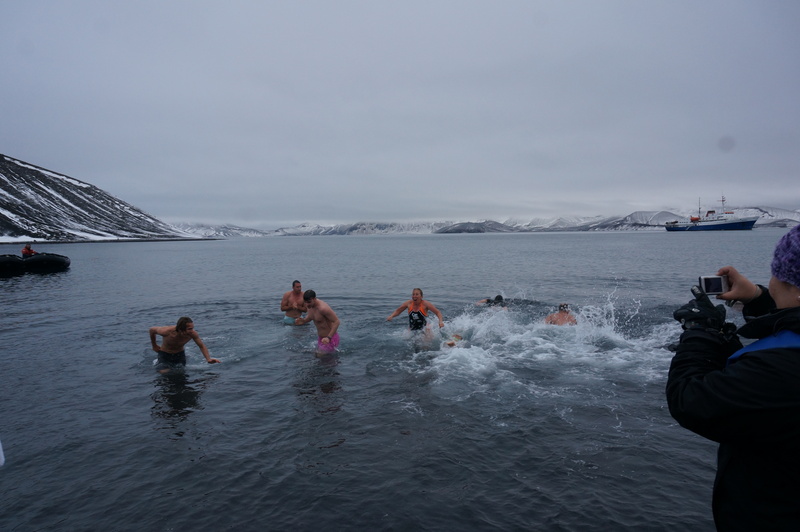 A polar plunge is a heart-stopping dive into icy Antarctic waters, of course! Be the cool cat among your friends and take this ultimate challenge, and we promise it’ll be the one achievement in your life you won’t ever regret. A bucket-list activity like no other, a polar plunge is the best adrenalin-pumping thing to do in Antarctica, with the only prerequisites being that you must be in swimming attire (donning a sumo-wrestling suit isn’t allowed) and that you must be completely submerged. The only downside to tackling a polar plunge is that no matter how much adrenalin is pumping through your body when you decide to do it, removing 12 layers of clothing to strip to your swimmers has an uncanny way of giving you waaaaay too much time to rethink your choice. So don’t think…and just plunge! If you’re not an avid birdwatcher by the time you reach Antarctica, you certainly will be by the time you leave. Antarctica is a true birding paradise, a haven where not only are the species varied (and often unique) but they are also very easy to view due to the lack of vegetation. The contrasting blinding white background of the polar ice makes birdwatching an easy and very rewarding endeavour. 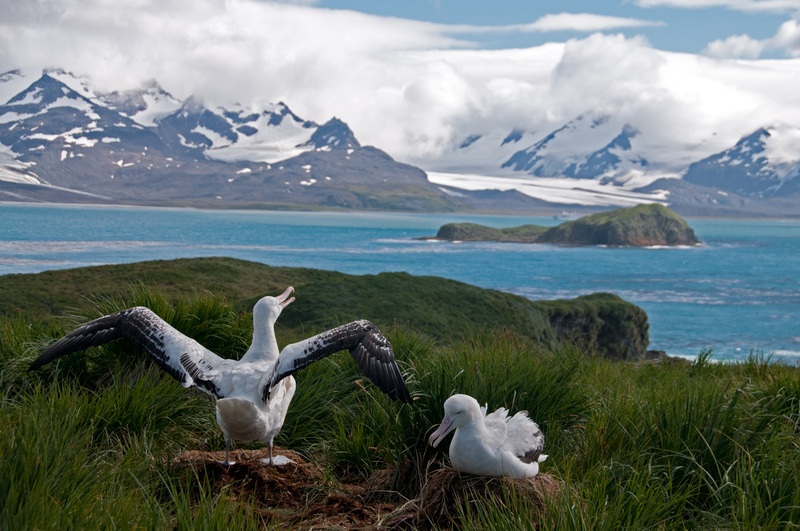 On an Antarctica cruise, you’ll usually spot Wandering Albatross and Giant Petrels from your cruise ship, even before you reach the Peninsula. These astute creatures tend to drift in currents created at the stern – essentially hitching a ride with you – so if you’re looking for a great photo op, head to the rear of your ship. An often overlooked highlight of a cruise to Antarctica is the enviable chance to cross what is often dubbed ‘the roughest stretch of seas in the world’. You may not technically be in Antarctica yet when you cross the Drake Passage, but if you’re looking for one of the best highlights of a cruise to Antarctica, you really can’t sail past this one. 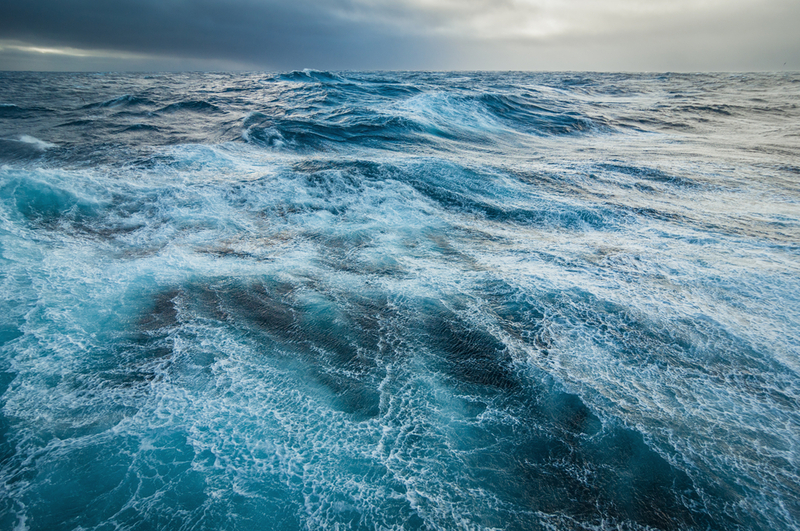 The Drake Passage stretches for 1,000kms, from South America to Antarctica, and is the cataclysmic meeting of three powerful seas: the Pacific, Atlantic and Southern seas. If the conditions are just right, and the unrelenting winds of our planet’s southern end roar their mightiest, you’ll be in for the rollercoaster ride of your life and will look back on this as one of the best things to do in Antarctica. Expedition cruises to the White Continent offer you a world of unforgettable adventures, and The 10 Best Things to See and Do in Antarctica are merely the tip of the iceberg. Pun totally intended. So don’t miss your chance to experience one of the last untouched corners of our planet, a place so immensely beautiful that it will steal your heart and hold it hostage forever. Check out our collection of Antarctica cruises and let us help you plan your own action-packed voyage to the end of the world.